The Driftless Area, also known as the Paleozoic Plateau is a region along the Mississippi River in the Midwest. This region is mainly known for its bluffs, and deeply carved river valleys for the tributaries of the Mississippi River. This area around the Mississippi includes: southeastern Minnesota, southwestern Wisconsin, and northeastern Iowa. This includes the Lansing Iowa community that is nestled between the scenic bluffs and the Mississippi. 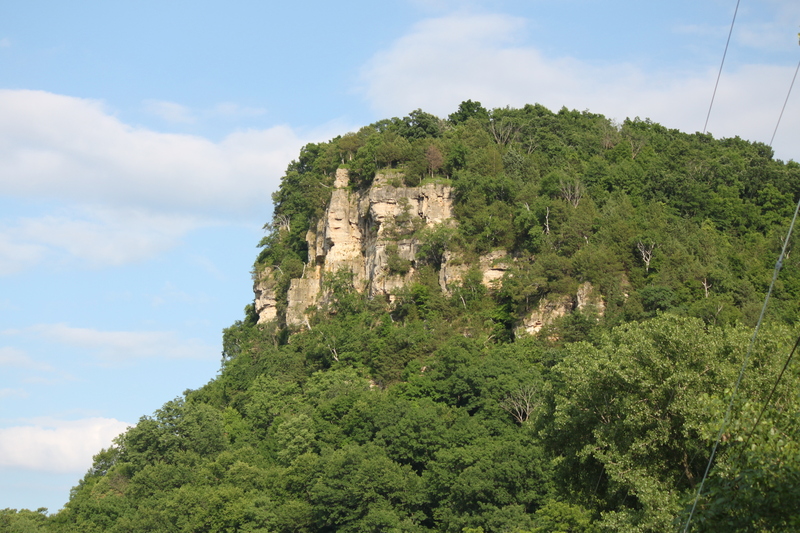 The Driftless Area was not touched by glaciers during the last ice age like the rest of the area, which became the Great Plains, but instead is the same today as it was thousands of years ago which is why the area along the Mississippi River has so many bluffs and deep valleys. The Mississippi River becomes a part of Driftless Area between Lock and Dam’s 2 and 13. For all the rivers and streams that connect downstream to the Mississippi, the depth of the bluffs become deeper creating canyons that truly showcases the giant bluffs from the view of the river. It is truly a magnificent view of the Mississippi river valley near Lansing from Eagle Ridge and creates a very unique area of the Midwest because of the lack of glaciers. Check out the photo album for more pictures of the views from Eagle Ridge Country & Riverview Estates of the Mississippi river and the surrounding area.